The granddaddy of art fairs, Art Basel, was established in 1970 by a group of local art gallerists and is the biggest contemporary art fair in the world. 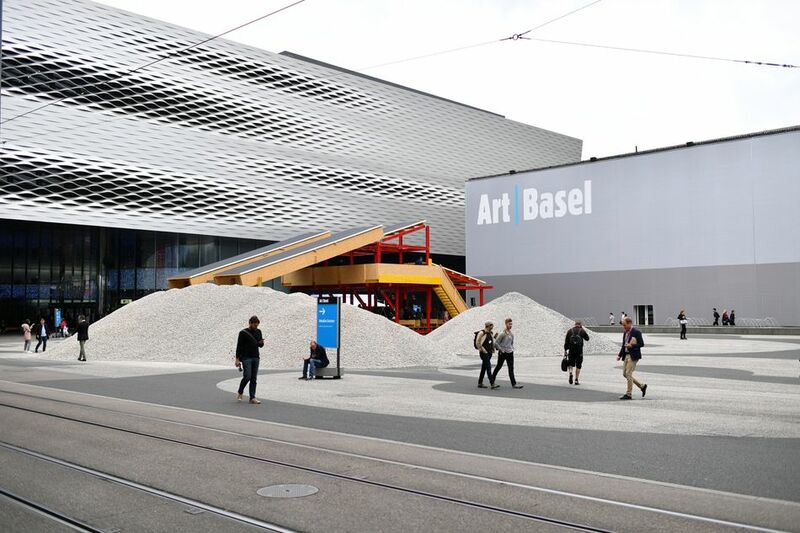 Art Basel takes place over a 5-day period each June in Basel, Switzerland. The high cost of renting space for gallery owners is offset by the huge attendance at the fair. For example in 2010, about 60,000 visitors attended Art Basel. "Frieze Art Fair was established in 2003 and is one of the few fairs to focus only on contemporary art and living artists." "The fair takes place every October in Regent's Park, London. It features over 170 of the most exciting contemporary art galleries in the world." In addition to the fair which began in 2003, the fair owners Matthew Slotover and Amanda Sharp publish Frieze, an international art magazine established in 1991 and devoted to contemporary art. Art Basel Miami Beach was established in 2002 and is held every year in December before the start of the holidays. It is a sister event to the internationally renowned Art Basel in Switzerland which was founded in 1970. Established in 1975 as The Pictura Fine Art Fair, and renamed The European Fine Art Foundation (TEFAF), Maastricht in 1996, the fair includes 260 of the world's most prestigious art and antique dealers from 16 countries. The 24th edition of the TEFAF fair held March 18-27, 2011 featured 260 dealers exhibiting approximately 30,000 artworks and antiques with an overall value of $US 1.4 billion. ARCO Madrid was established in 1982 and is one of Europe's leading and popular art fairs. In addition to the exhibiting galleries (in 2011, 197 international art galleries participated), a series of lectures and specially focused exhibitions take place. Established in 2008, the India Art Summit, renamed as the India Art Fair takes place in New Delhi for several days in January. As this art fair illustrates, the traditional Western-based art market is rapidly shifting boundaries as India becomes the latest area for contemporary art. Founded in 2000, the Armory Show "is America's leading fine art fair devoted to the most important art of the 20th and 21st centuries. Every March, artists, galleries, collectors, critics, and curators from all over the world make New York their destination during Armory Arts Week." Established in 2006, Art Dubai is the leading contemporary art fair in the region and "Art Dubai has become the essential gathering place for collectors, artists and art professionals from across the Middle East, North Africa, South Asia and beyond." Art Dubai's Global Art Forum focuses on the Middle East, North Africa & South Asia with discussions led by leading arts professionals about topical issues, culture, and art. Since 2000, the SCOPE Art Show "has solidified its position as the premier showcase for international emerging contemporary art. With art fairs in Miami, Basel, New York, London and the Hamptons, SCOPE Art Show has garnered critical acclaim, with sales of over $100 million and attendance of over 30,000 visitors." In addition to the global art fair, the SCOPE Foundation provides grants to independent curators and emerging artists, plus it helps nurture the art scenes of its participating cities. The SCOPE's Center is an artist-driven non-profit to support and fund international contemporary art.